The director duo Shiboprosad Mukherjee and Nandita Roy has become a household name in Bengal after their back to back hits “Belasheshe” and “Prakton”. But unfortunately, I didn’t get any chance to watch either of those movies and “Posto” was my first interaction with their directorial skills, and sadly, I am hugely disappointed with the treatment of this film. “Posto” has a powerful story line with a strong social message that deals with an acute social problem. But with a poor narrative and theatrical directorial approach it ends up as a loud and melodramatic movie with a predictable climax and too many slippages from the directorial perspective. 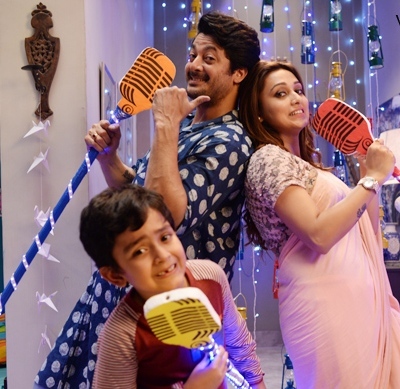 Arnab (Jisshu Sengupta) and Sushmita (Mimi Chakraborty) are a working couple residing in Kolkata and decide to leave their only son Posto, with his grandparents Dinen (Soumitra Chatterjee) and Gauri (Lily Chakraborty) in Shantiniketan, as they could not give much time to him due to their hectic professional life and the instability in the career of Arnab. But slowly, with time, Dinen develops an emotional bonding with Posto and finds the shadow of his deceased elder son in Posto. Dinen continues to blame Arnab for his inability to earn enough to run his family and highlights his incompetency to raise his son. Later on, the narrative takes a different route and turns into a court-room drama as Dinen files a case for the custody of Posto when his biological parents decide to move out of India with Posto to settleabroad. And the film continues with some dramatic twists and turns, until it reaches its climax. 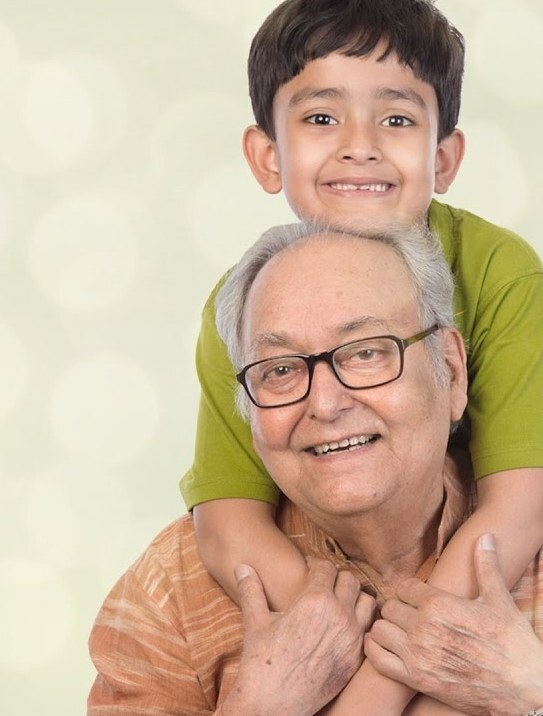 Soumitra Chatterjee as Dinen is outstanding in every scene of the movie and he is just unmatched in the court room confrontations. The veteran actor steals the show with his penetrative expressions and cerebral acting skills. Jisshu Sengupta tries his best to match the power pact performance of Chatterjee , but somehow fails to deliver in the intense emotional scenes. Mimi Chakraborty as Sushmita looks poised in most scenes and quite a consistent performer in this movie, although her emotional outburst in the dining scene with the entire family lacks depth and conviction. Lily Chakraborty and Paran Bandyopadhyay give a standard performance, but Sohini Sengupta as Arnab’s lawyer is too comical and funny with a childish dialogue delivery that makes no sense at all. The movie has some beautifully crafted songs composed by Anindya Chateerjee and Anupam Roy. Cinematography of Gopi Bhagat is above average but the editing of Moloy Laha lacks slickness and fails to live up to the expectations. “Posto” has a powerful storyline but the director duo Shiboprosad Mukherjee and Nandita Roy fail miserably to portray their thoughts aesthetically and end up making it a theatrical court room drama with loud expressions of few actors in many occasions. The directors fail to extract the expected emotions from the child actor Arghya Basu Roy ( Posto) in many scenes, and his dialogue delivery fails to portray the expected emotions. As a child artis,t he should have been trained to lip sing the songs correctly, but in the very first scene his lip singing is too loud and does not match the song at all, in a clear mistake from the directors. This mistake is repeated again in the movie. Furthermore, demonetization occured in India on 8th of November, but in the movie, Gauri is shown with a two thousand rupee note on 4th of November, the day Dinen has a cardiac attack. The movie raises many questions but fails to answer a single one and decides to take the route of a known ending , following a dramatic and cliché climax. The use of spider cam in many scenes make it a pain for the eyes. The movie “Posto” might become a money spinner for its melodramatic interpretation but fails miserably as an aesthetic content.